So I made these pickles that I just can’t stop eating. I shared the recipe for these Persian Pickles a few months back. They are crispy, garlicky and a little hot. My only complaint is that, being a refrigerator pickle, they cannot be stored in the pantry; we have a lot of fridge space full of jars right now! Add cream cheese, mayo, red onion, pickle juice and garlic to a stand mixer (or bowl and use a hand mixer). Start slow and increase speed until the ingredients are well-blended. Add the Cajun seasoning, pepper and diced pickles. Mix on low to medium until spices and pickle chunks are evenly dispersed. 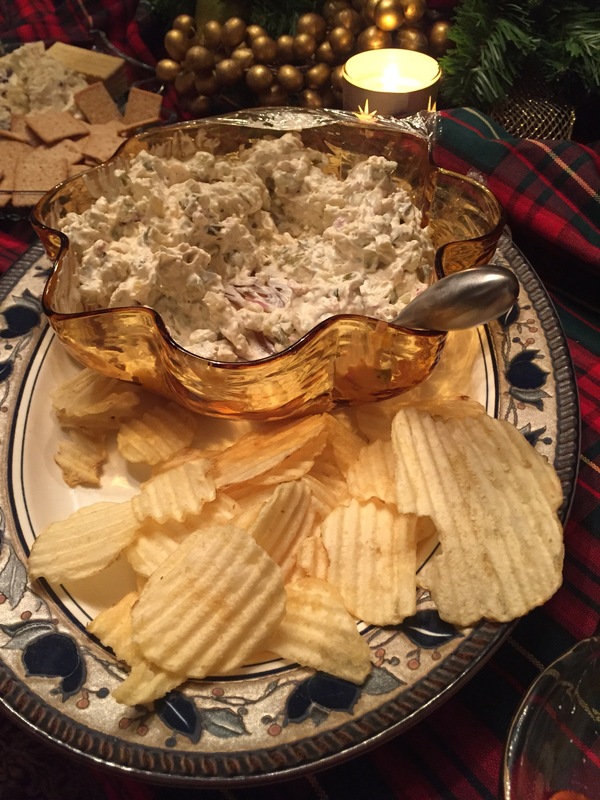 Serve with wavy potato chips or pretzel chips. You could make a vegan version of this recipe by replacing the cream cheese and mayo with vegan mayo. I’ve had it before and it’s pretty good! 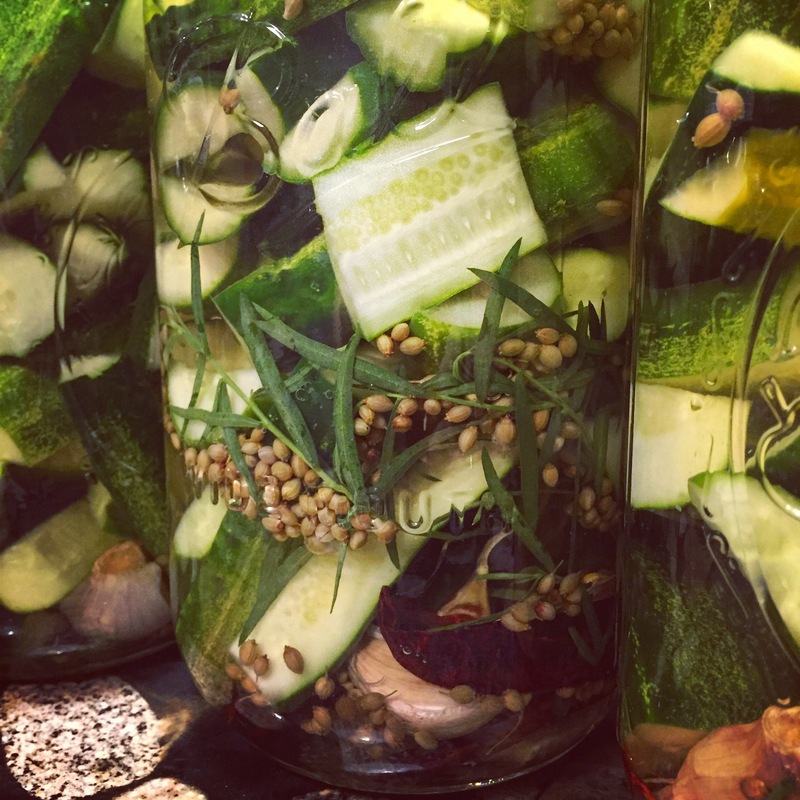 If you don’t have Persian pickles, you could make it with dill pickles. The Persian pickles really pop because they are so flavorful – it’s worth it to go with a good quality fresh pickle. I have a homemade Creole Seasoning that I mixed up based on Emeril’s recipe to use in my fried chicken breading. I keep it in a sealed jar in my pantry. You could also use another type of Cajun or Creole seasoning or Old Bay if you have that. What’s your favorite easy appetizer?